The 2019 Jaguar F-PACE has a starting point of $44,600 MSRP* and offers seven different trim levels to choose from, plus standard all-wheel drive at every level. 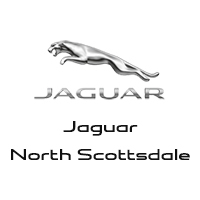 Explore each of the Jaguar F-PACE price points and trim levels at Jaguar North Scottsdale to find the configuration that has every feature you want for your Scottsdale cruises. Once you have chosen a configuration, contact us for a test drive to experience this luxury compact crossover SUV in person! If you are ready to learn more about the Jaguar F-PACE fuel economy and optional equipment that includes blind spot monitoring, come visit Jaguar North Scottsdale near Carefree! You can also browse our inventory to find a Jaguar F-PACE for sale that has all the features you want at a price point that works for you! Price shown is Base Manufacturer’s Suggested Retail Price. Excludes destination/handling charge ($995 for XE, XF and E-PACE, $1,025 for XJ, F-TYPE, F-PACE and I-PACE), tax, title, license, and retailer fees, all due at signing, and optional equipment. Total Manufacturer’s Suggested Retail Price includes destination/handling charge noted above and may include optional equipment but excludes tax, title, license and retailer fees, all due at signing. Retailer price, terms and vehicle availability may vary. See your local authorized Jaguar Retailer for details.